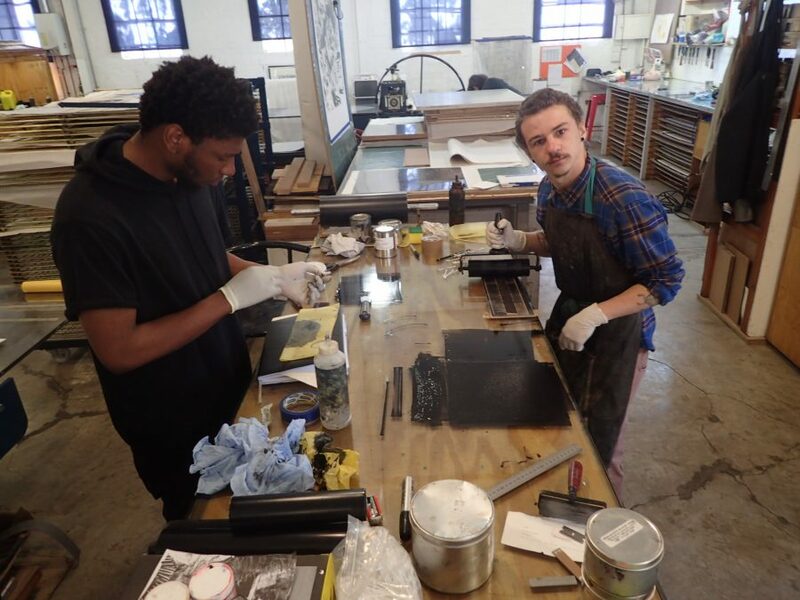 DKW printer and emerging artist, Chad Cordeiro, first joined David Krut Projects (DKP) on the bookstore side in 2012, where he worked for a year while he was still an art student at Wits. He remembers the experience as an “enabling opportunity as I could read up about printmaking and important SA artists, which supplemented my degree and has greatly influenced my work. I’m talking in particular about reading up on Paula Rego’s work that looks at South African resistance prints during the apartheid era and the Taxi monographs, published by David Krut, which were a great influence on me – particularly the ones dedicated to Sandile Zulu and Jeremy Wafer. Wafer was my lecturer at the time. 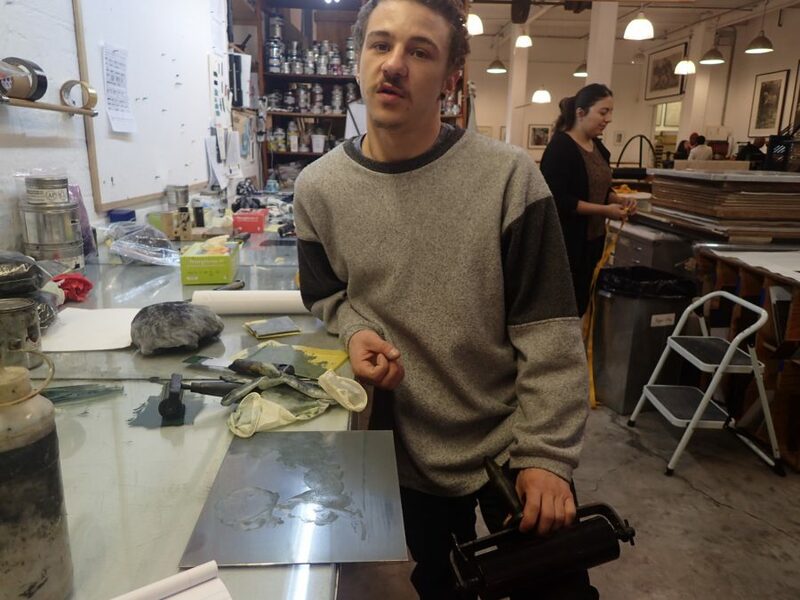 Cordeiro segwayed into the printmaking side of DKP in 2013, starting off by wiping plates. Like Kim-Lee Loggenberg, he describes himself as having been “thrown into the deep end”. 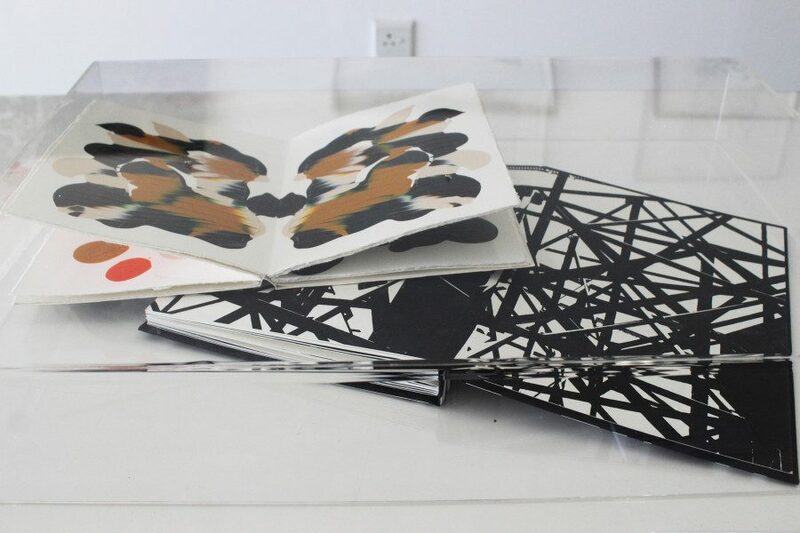 His first project at DKW was Stephen Hobbs‘ Be Careful pop up book. Cordeiro had learnt how to bind books while working at the DK bookstore so he put his newly acquired skills to the test and produced great results. What is your favourite printmaking medium? 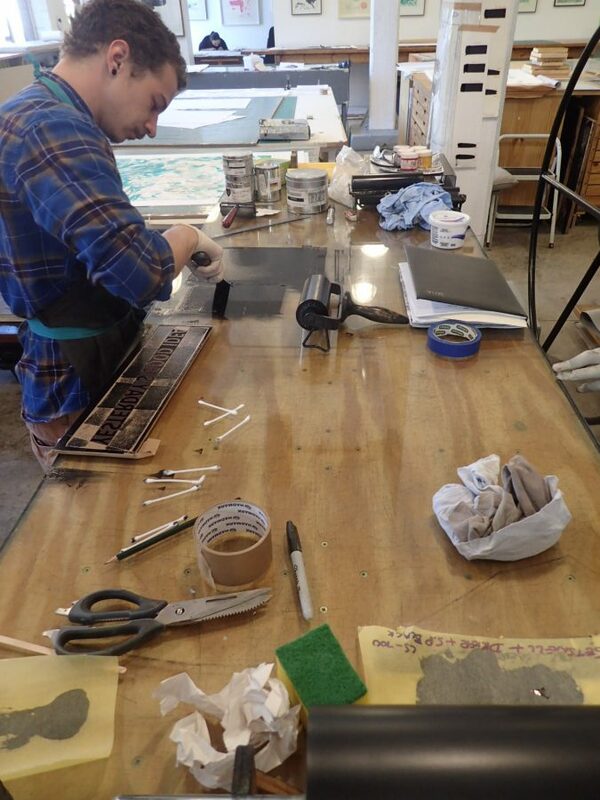 “Relief printing is my favourite because the results are harsh and graphic and very tangible. My entire technical ability has been shaped by my time at DKW – how to register plates, wiping, cropping etc”. As an emerging artist and practicing printmaker, how would you describe your ambition in the art world? Cordeiro recently carved a 2x2m William Kentridge woodblock – “Mantegna” – as part of the dynamic DKW team. He opens his solo show with collaborator Nathaniel Sheppard, titled, Kwaal-ity Control, at the David Krut Gallery in Parkwood tonight from 6-9pm. Join us for the opening where the artists will be doing a live performance throughout the evening. Click here to read about Cordeiro and Sheppard’s show, which runs from 1-24 September.